Maryland Mock Trial's unrivaled 1992 teams that went head to head in the national championship round. The University of Maryland Mock Trial Program has won more American Mock Trial Association (AMTA) national championships than any other school in the country. 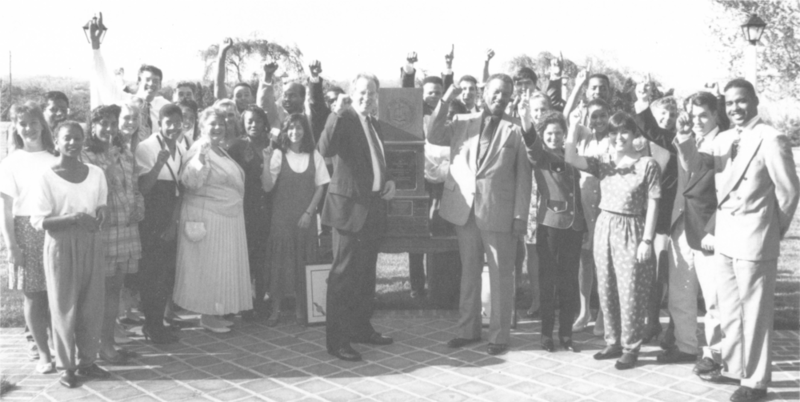 Under the direction of the Dr. Noel Myricks the program was founded in 1989. Dr. Myricks quickly established Maryland Mock Trial as a national powerhouse and won the first of the programs's five national championships in 1992 when both of the school’s teams advanced to the national championship round. As a result, AMTA instituted the “Maryland Rule,” which placed teams from the same school in the same division at the National Championship Tournament to ensure two separate schools were represented in the championship round. Even though the “Maryland Rule” was later repealed, Maryland remains only school to ever advance two teams to the final round of the National Championship Tournament. Maryland followed up the dominant 1991-1992 season by reaching the national championship round again in 1993, narrowly losing to Drake University. In 1996, Maryland claimed their second national championship beating St. Louis University in the final round. Two years later in 1998, the Richard M. Calkins Trophy came back to College Park for a third time when Maryland defeated Bellarmine College in the final round. In 2000, Maryland captured the title again prevailing against the University of Wisconsin-Milwaukee in the national championship round. Maryland’s most recent championship came in 2008 when they defeated George Washington University in the championship round and brought the Calkins Trophy home to College Park for the record 5th time. 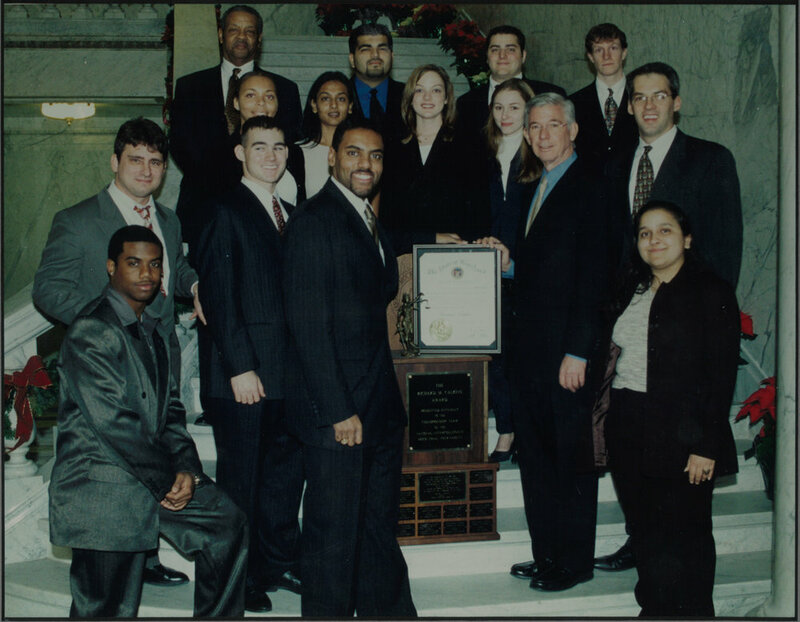 After winning the national championship in 2000, Maryland Mock Trial team members and coaches were honored by the Maryland House of Delegates and Governor Paris Glendening. The W. Ward Reynoldson award is presented by AMTA annually to coaches whose teams demonstrate excellence at the National Championship Tournament. Eleven Maryland Mock Trial coaches have won the award. 1996 Mary Pat Wilt and George Failla, Jr.
1998 Scott Hinshaw, Cathy Henger, and George Failla, Jr. The Neal Smith Award is presented annually by AMTA to one individual in recognition of their “contributions to AMTA’s educational mission.” The winners of the Neal Smith Award are recognized for making outstanding and exemplary contributions to law related education and its mission to promote public understanding of law and the legal process. Dr. Noel Myricks, J.D., Ed.D. Dr. Myricks founded the University of Maryland Mock Trial Program and coached teams to four national championships, two national runner-up finishes, and eleven eastern regional championships. Dr. Myricks was inducted into the American Mock Trial Association Coaches Hall of Fame in 2006. Mark A. Graber, J.D., Ph.D.